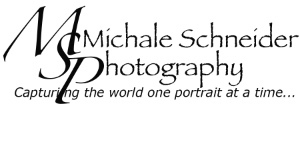 Michale Schneider Photography has been providing quality photography since 1990. We offer Senior Photography, Maternity Photography, Baby Photography, Pet Photography, Family Photography, and Corporate Photography. We offer Senior Photography, in studio and location. Our studio is located in Everett. We offer contemporary and innovative photography. Location Senior Photography is created all throughout the greater Puget Sound area, Senior Photography in Seattle, Everett, Mukilteo, Senior Photography in Edmonds, Lynnwood, Snohomish, Senior Photography in Mill Creek, Marysville, Smokey Point, Senior Photography in Arlington, Mount Vernon, Bellingham, and Tacoma. You want great Senior Portraits, with Michale Schneider Photography you will receive the best portraits and an experience you will remember for a life time. You may even feel like a model for a the day. Michale Schneider Photography is your choice for Senior Photography. We specialize in photographing people, we all have a story to tell, and we want to help you tell your story. Whether your story is senior portraits to celebrate the end of High school and to welcome a new beginning of adulthood. Your story may be your first pregnancy, or your beautiful new baby, celebrate your newborns arrival. Your story maybe a growing family, they change so quickly, cherish and capture each milestone along the way. Contact: info@mschneiderphoto.com or call 425-210-4660 for more info about booking a Senior Photography Session in Everett and Seattle and Newborn Photography in Everett.